MFB - Eternity Diamond Wedding Ring This Classic Eternity Style Diamond Wedding Ring can be customised to complement your unique sense of style. 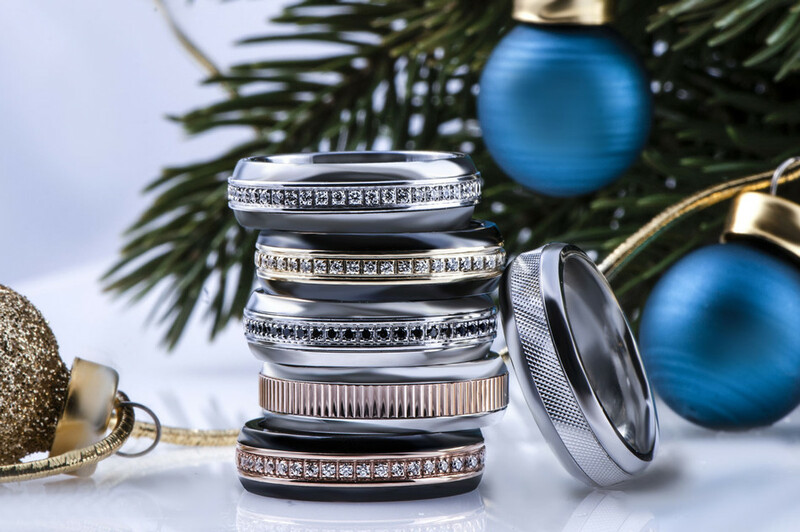 Available as a tungsten ring, a ceramic ring or a cobalt ring, it features a gold insert and your choice of 15, 21 or 45 dazzling diamonds. 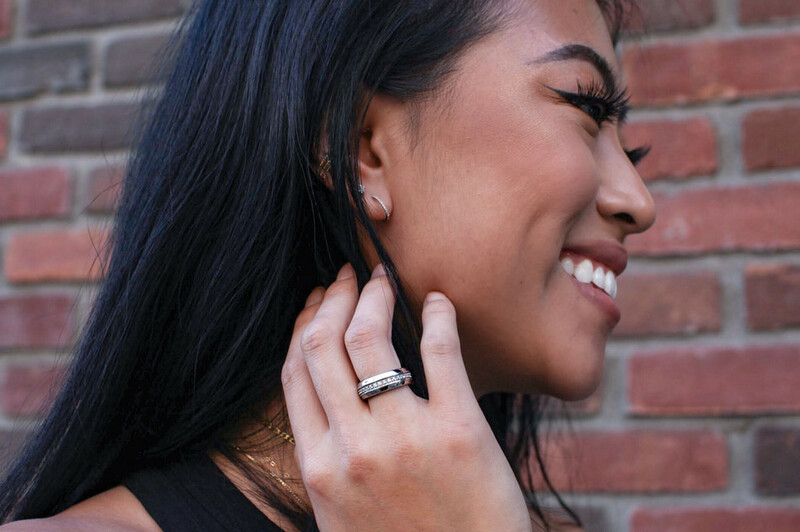 The insert is offered in rose gold, yellow gold or white gold, and the ring is presented in 6.5mm and 8.5mm variations to suit both large and small hands. Personalise by engraving the inside of the band. This Classic Eternity Style Diamond Wedding Ring can be customised to complement your unique sense of style. 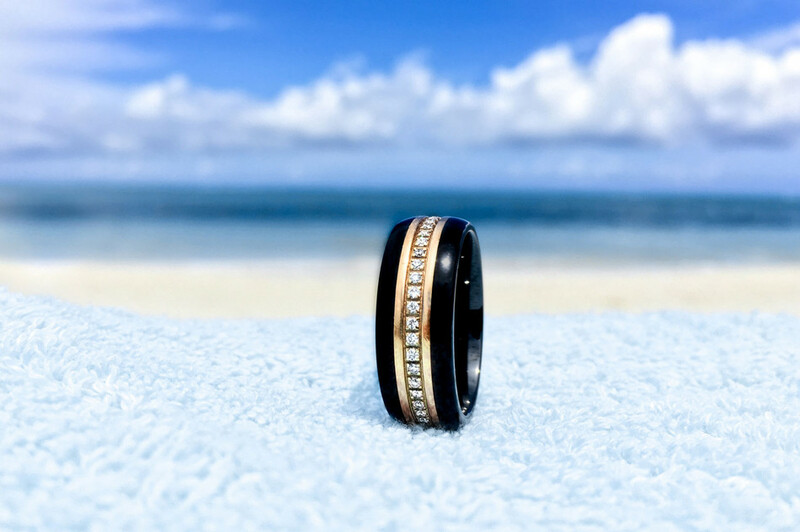 Available as a tungsten ring, a ceramic ring or a cobalt ring, it features a gold insert and your choice of 15, 21 or 45 dazzling diamonds. 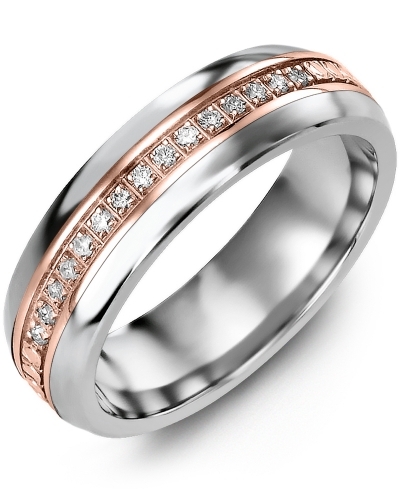 The insert is offered in rose gold, yellow gold or white gold, and the ring is presented in 6.5mm and 8.5mm variations to suit both large and small hands. Personalise by engraving the inside of the band. I Really appreciate the personal attention that we got throughout our purchase. They even shipped to 2 different addresses so that the rings would come in time for our wedding. 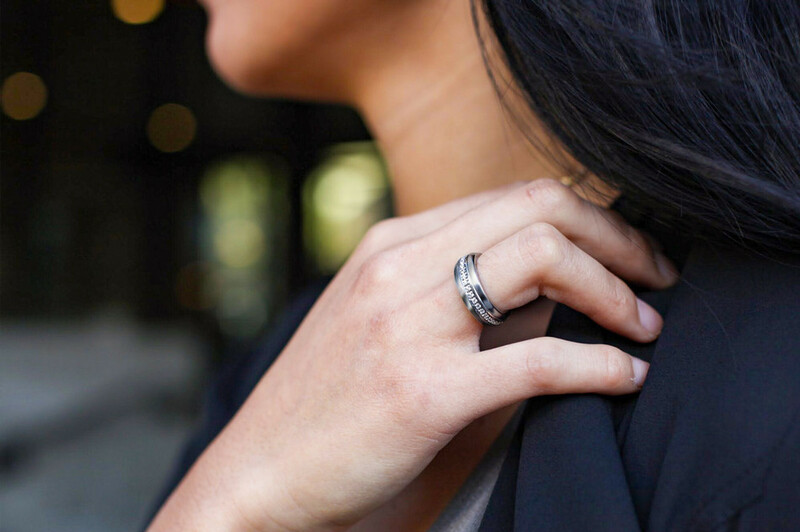 We really appreciate that we could try on rings before getting our rings and that we didnt have to send the sizer rings back. Very helpful! I absolutely love the ring! Looks even better in real life. Thank you so much! Nice ring. I thought the diamonds went all the way around but it still is gorgeous. I even love the packaging it came with it. This is my husband's wedding ring to match my rose gold one.